Choose How You Embrace a Holiday in the Great Outdoors. Camping has moved over the past few years, transforming the all-too-common stereotype of soggy canvases and missing tent poles to something that can be a really fun and comfortable experience for everyone. With the surge of outdoor holidays comes more choice and freedom for campers. Not only have traditional tents seen a bit of a revamp, with some offering enough space to fit your whole kitchen sink, the likes of camping pods, treehouses, tipis, yurts and lodges are popping up across the UK. Whether you choose to pitch up a traditional tent or opt for something a bit fancier, camping offers great flexibility for families. At its core, traditional camping presents all the charms of being right in the middle of nature. With just a strip of canvas between you and the starry night sky, it’s easy to relax surrounded by glorious countryside and the sounds of Mother Nature. If your family routine is especially hectic, making it tricky to spend quality time with the kids, then traditional camping is a great way to bring everyone together again. You’ll be able to completely unplug yourself from the outside world (most campsites don’t come with Wi-Fi! ), switching off your mobile and embracing family time fully without the need to check emails every hour. Welcome the slower pace and give yourself the chance to unwind. Camping gives you the opportunity to teach the kids about wildlife and help them learn to respect nature. There will be an abundance of places for you to explore. Many campgrounds are close to public woodlands or activity parks, making it easy to step into your own outdoor adventures as soon as you unzip the tent. Traditional camping requires more effort when it comes to the little things like cooking and finding shelter, but this offers children the challenge of learning how to live independently alongside nature. Reminiscent of Scouting and Girl Guiding days, who wouldn’t love sharing stories and songs around the camp with the family before bedtime? Maybe give the spooky ghost stories a miss for the sake of the little ones! 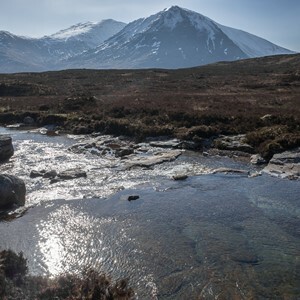 Perhaps the key factor for putting many families off is the unpredictability of the weather, but being willing to embrace whatever nature throws at you is a big part of the traditional camping experience. Prepare for a sudden change by properly sealing your tent and having all the necessary waterproofs and woollies for everyone. More luxurious twists on camping made waves at festivals around the world a few years ago, and has slowly grown into a type of camping in its own right, accommodating for all kinds of needs and desires. From treetop houses and wooden camping pods to tipis, yurts and tents for kings, there really are so many cosy ways to camp without a tent. 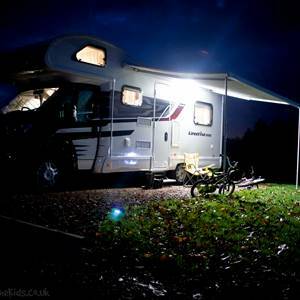 Families that want to experience life outdoors without some of the hassle and more of the home comforts are better suited to the various luxury camping options. You can still feel close to nature but come back to a proper bed at the end of the day. If you have a large family or find it stressful enough managing mornings and bedtimes with the kids, luxury camping can take away some of the pressure. Often you’ll have your own kitchen, making meal times simpler too, and in some campsites food can be provided by onsite caters or purchased from a local pub in the area. Access to electricity is usually available so you don’t need to worry about running out of torch batteries or matches. Whatever kind of luxury camping experience you choose, they are all made to look great on the outside and the inside. Often they offer something a bit more unusual and quirky, which really can make a holiday that bit more special and memorable. Luxury camping provides both the sense of independence from the outside world and the ease of small home comforts. It’s a great way of getting the best of both worlds. 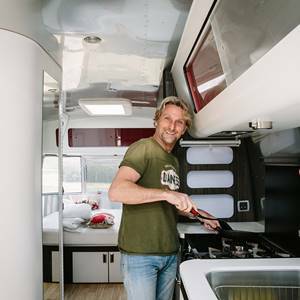 For some, this luxurious and more comfortable option can detract from what’s at the heart of traditional camping, so it depends how back-to-basics you really want to go. 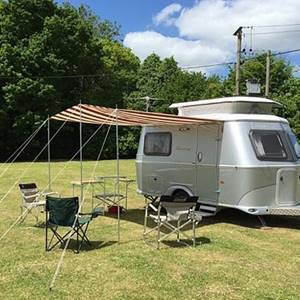 Billing Aquadrome is a family- and pet-friendly holiday park in the heart of the Northamptonshire countryside, offering traditional and luxury camping, caravans and lodges. Surrounded by lakes and rivers, and offering plenty of activities for children, it is the perfect spot for families to take a break away. Follow on Facebook and Twitter @bil_aquadrome.